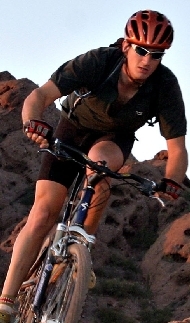 Phoenix mountain biking offers any rider some hard choices. There’s no shortage of great mountain bike trails. A few years ago, I published a list of my favorite trails. Now it’s time to refresh it with some new info. Things change – so my old list may not be as much help anymore. Rather than a “best” list, I’ll list all the Phoenix mountain biking spots I ride regularly and give them a grade. The letter grade reflects trail quality, amenities, traffic and all that good stuff. I’ll make extra notes about location – it’s a bit unfair for some great trails to get dinged for being a bit further away. This list is NOT complete. 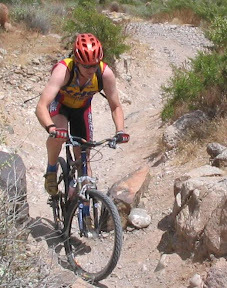 If I don’t mention your favorite Phoenix mountain biking, I welcome you to add it in the comments. Click the links in each section for a more in-depth look at the trails. I have a long history with Trail 100 and the Phoenix Mountain Preserve. 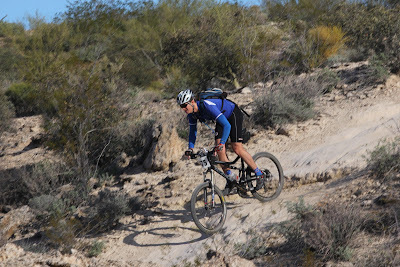 The sort of riding you’ll find at McDowell Mountain Regional Park. A little Pima and Dynamite fun. If you’re going to mention South Mountain at all, you have to mention the new trails on the south-west end of South Mountain – the 620 area. Busera, Valley, Gila, Pyramid. They are outstanding. I had to deduct points for the crowdedness. You’re right about trying the new trails – I don’t get over there very much. Door’s open to ya if you ever feel like doing a guest post. That’s your home turf!